Custom USA Stars and Flag Stripes LED Flashing Sunglasses are great for all kinds of promotions and events that are having a patriotic theme. Place your business/brand logo in these American flag themed custom party sunglasses and get the best exposure. With a 2" x .3" imprint area, the brand logo or message will be seen by all quickly. Apart from that these custom sunglasses are loaded with 3 light functions such as quick flash, slow blink and also steady. Order now and make the most of our free artwork design and free online proofs facilities. 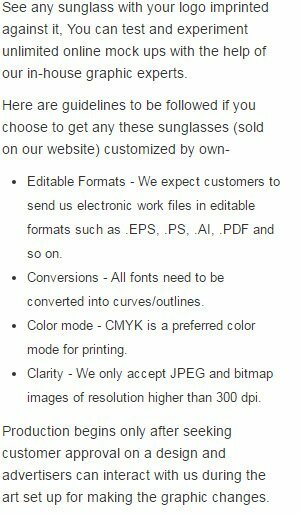 Request a quote to know the value savings that you can avail on bulk orders of Custom USA Stars and Flag Stripes LED Flashing Sunglasses.